Listed below are Entertainment items for you to car boot sale online here that you will find available in Manchester. If you cannot find the Entertainment items that you are looking for in Manchester you can add your wanted item to let sellers contact you if they have any Entertainment items available for you. You can keep your contact information confidential. Enter only an email address in your car boot sale ad to receive offers into your account on our system. We will remind you automatically when new offers arrive for you. To offer your items for sale on this online car boot sale in Manchester simply click Post free ads for Entertainment link below or the button Post free ad in top right corner of this page. It is fast, easy and free to post an ad in 2lazy2boot. It will take you just few minutes to have the ad seen on our listings. You can then edit your ads any time by clicking “Member area" button on top right corner of this page. 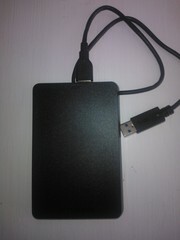 Karaoke Hard drive - 500 GB Toshiba karaoke hard drive with thousands and thousands of songs, great for starting up Karaoke business , 100's of SUNFLY discs with loads of new songs from Lady Gagga, Bruno marz to all the oldies and thousands more - Turn your laptop or tv into a karaoke.fatastic Xmas present. Beatles rock band for wii. With mic, guitar and drums and game. All in very good condition. Slight wear and tear to drum sticks. But all perfect. Great bargain..
Well here you go. Good luck with your on line car boot sale in Manchester. We hope you have some success and find buyers/sellers that you are looking for in Entertainment . Don’ t forget to comment any successes in selling your Entertainment items in Manchester to our valuation window and report forum! We are sure you will find many people in Manchester looking for your Entertainment. Manchester car boot sale. Entertainment for sale ads on online car boot sale in Manchester, second hand Entertainment for sale in Manchester, Entertainment ads for free in Manchester, 2lazy2boot - Manchester car boot fairs.